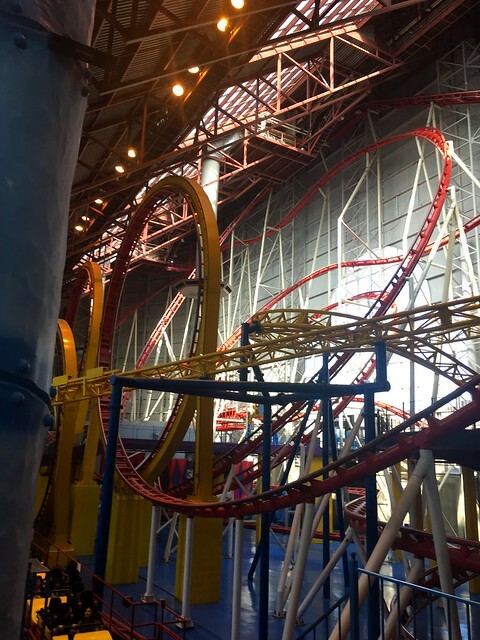 Edmonton Mall | What Goes With What? Our next stop is Glacier National park but first we spent a few night outside of Edmonton at a Lions Campground in Devon. We had a nice grassy tent sight along the river with showers and best of all laundry facilities. Devon is close enough to Edmonton to gather a few needed supplies and rest a bit before heading back across the border to the US. Our queen size air bed was not holding air. Every night we had to add air at about 2 am. Then by morning it had deflated again. Quite disappointing when you plan on using it for another 2 weeks. We bought a new one and returned the other while buying groceries at the local Walmart. 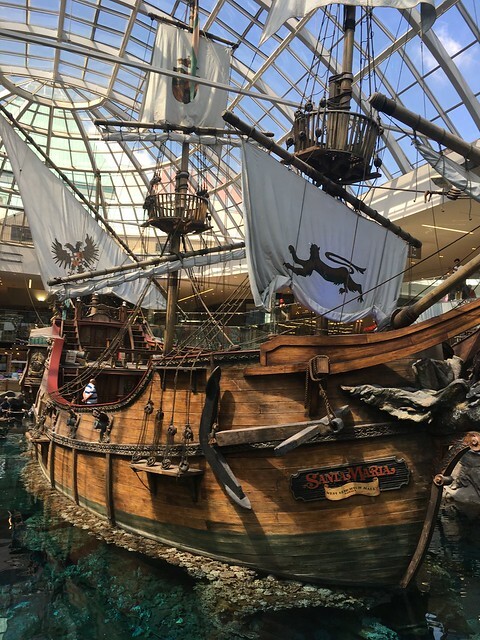 When in Edmonton a trip to the West Edmonton Mall is a must. To say the mall is large is an understatement. 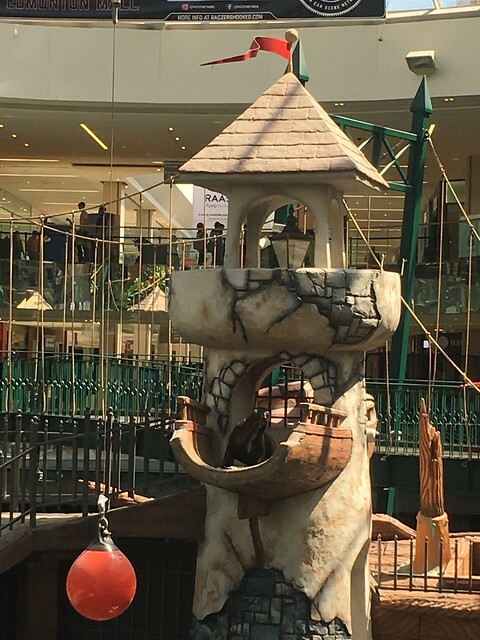 Not only did we see a full size ice rink but also a water park, amusement park, and a pirate ship. We enjoyed the food court and visited some great outdoor shops. 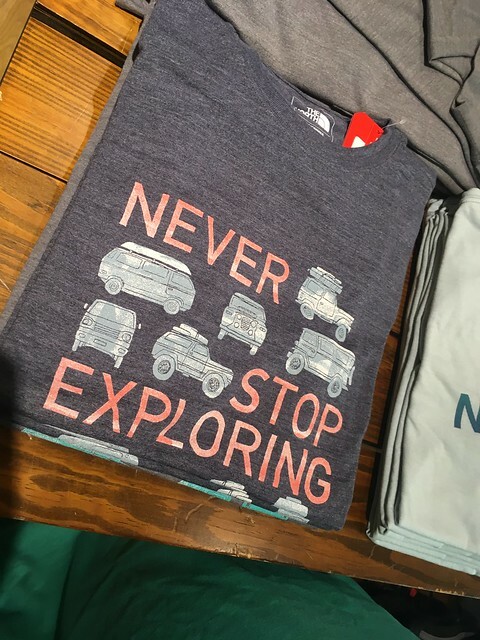 Eric popped into the Apple store but our favorite was Icebreaker where all their outdoor clothing is made out of the most beautiful Merino Wool. What a feast for the eyes after camping for over a week. We were very happy to return to our simple tent life by the river. Tomorrow we are off to Glacier National Park. 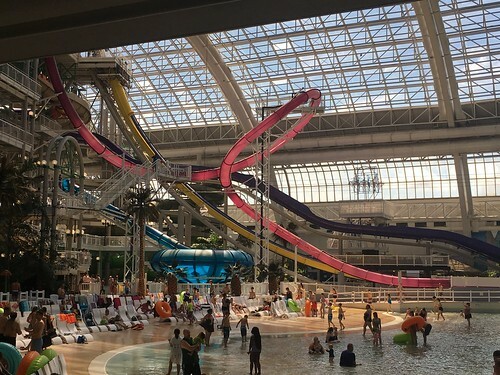 This entry was posted in Adventure, Winners and tagged Adventure, Edmonton, road trip by Diana. Bookmark the permalink.